La Petite Cuillère (55 Kingsway) is kicking off spring with a fresh menu. Owner Cathy Lai and chef Frankie Cannata-Bowman partnered in the fall of 2017 to create a new vision for the tea house, which had just undergone a total renovation. Big, glittering chandeliers: ornate hot-pink love seats; velvet banquettes; marble tables, and gilded teapots: it’s playfully sumptuous space. Most of the menu items are infused with various types of the world’s most popular beverage or involve tea in the cooking process. Consider tea-infused crème brûlée, Lapsang egg-salad sandwiches, Darjeeling chicken tartlets, or curried-duck terrine with a daikon-carrot slaw in a Darjeeling vinaigrette. Chai French toast comes with blueberries, candied hazelnuts, and chamomile-mascarpone cream; a vegetarian breakfast quiche has creamed oolong spinach. Then there are jasmine orange-zest scones, spring carrot-ginger gazpacho with mint oil, cauliflower-turmeric bisque, and more. Vegan and gluten-free options include a frittata with roasted tomato, tea-leaf pesto, and cashew feta; house-made cashew-ricotta tartlets with roasted delicata squash and tea-leaf pesto; and a raw-carrot-and-chai cheesecake. The kid-friendly spot has a Petite Tea menu, with goodies like rainbow cupcakes, butterfly sandwiches, and fruit-and-veggie caterpillars. Brunch is a new feature, served daily from 10 a.m. to 2:30 p.m. Look for items such as a Croque Madame with Darjeeling-béchamel and vegan buckwheat waffles with black charcoal-caramel-and-Earl Grey butter. Teas are blended in house and range from Lychee Black and Raspberry Parfait (black) to Sechung Extra Choice Oolong and Coconut Rooibos Chai to Golden Assam Pure and King’s Green Oolong. La Petite Cuillère is a supporter of Mealshare, a non-profit organization that provides meals for children in need right here in Vancouver and around the world. Cannata-Bowman is an American trained chef who lived and worked in Seattle for 10 years prior to moving to Vancouver in 2016. In Emerald City, she was shortlisted as one of Seattle Metropolitan Magazine’s Top Five Next Hottest Chefs. Take note, drivers: there’s free parking underground. "It’s been a while since I last visited “La Petite Cuillere”, so was excited to get this invitation to check out their new space and new brunch menu. As the only high tea joint in the area, they have always been a popular destination for the community, so I was curious to see how the new management would put their spin on things and to improve the business. The exterior no longer does the restaurant justice. Nothing catches your eye or draws you in to the hidden salon, behind the glass door and brick facade. Nothing prepares you for the air of luxury the space now has. Gone is the quaint and clutter-some space with its overflowing collection tea cups, tea pots, and tea paraphernalia to sift through. Now the place is sleek with velvet fabrics and metallic embellishments. And what remains of the tea collection is properly showcase on a wall-sized shelf. It feels like a whole new business, and the differing aesthetic is definitely catered to a different clientele. Seating is either along their crush blue velvet benches, in of of their high back chairs with a metallic floral print, or in one of their pink velvet couches with its own headboard-like framing. Our group of five were seated in the latter to share our brunch and tea tower. Their high tea service is their signature menu item. They offer their 3 tiered tower in all sweet pastries, all savoury bites, or a mix of both in varying sizes. You choose how much you want and which bottomless tea to enjoy it with. We shared their “Afternoon Tea” which included all the savoury and all the sweet options for $35. And at that price, this still remains as one of the least expensive tea services in the city. Everything on their menu, including the following is prepared with as much tea as possible. And with most, the flavour of the teas were well infused. These were the same teas that they sourced themselves and then blended in house. “Most of the items on our menu incorporate some element of tea in the cooking process. When pairing food with tea, we carefully take into consideration aroma, flavour, taste, astringency, and texture”. Given the personal touch in everything they prepare, it is easy for them to customize and curate you a meal that accommodates your dietary restrictions. For example, one of our guests was gluten intolerant, and it was easy enough for the kitchen to whip her up her own tea tower that excluded gluten. Would I come back? – Yes. Would I line up for it? – Yes. Would I recommend it? – Yes. I love the new decor of the place, it is definitely now more of my aesthetic. Decadently ideal for a more romanticized high tea service. A more refined assortment of full plates and light sweets, thanks to a kitchen that is dedicated to “food creativity”, as shown through their use of teas to flavour. This is the ideal spot to bring all your girl friends to for some tea, sweets, and the perfect photo op. The perfect place to celebrate a bridal or baby shower, or a sweet sixteen at. Don’t deny your cravings." Mother's day weekend is extra special at La Petite Cuillère this year, as we will be featuring our Mom-osa Bar! 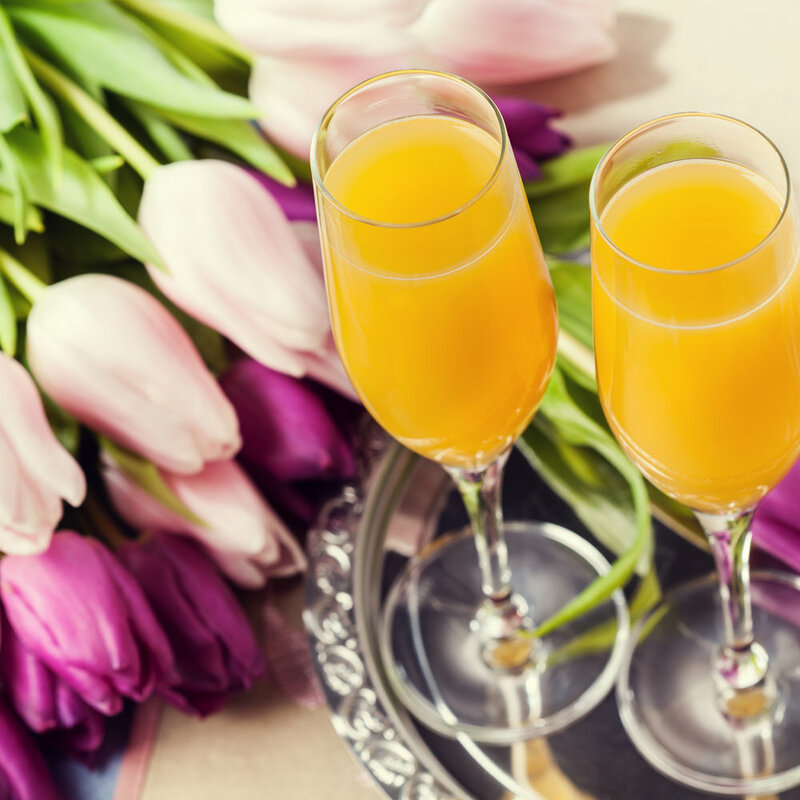 All moms are invited to sip on a free virgin tea-inspired mimosa as a special thank you for all their hard work raising the hooligans of the world. In addition we will be serving our Afternoon Tea Service, which is a three tiered platter of savoury and sweet options including a pot of one of our premium teas for $35 per person. We are also expanding our Mother's Day hours on May 13th and will be open from 9am-6pm. Please call us for reservations! We have partnered with the fabulous Lindsay from DarkLake Tarot to bring you $10 three card tarot readings and 10% off all tea services! Learn more about it on our Facebook page. So far the event has been super popular, so make sure to book your space in advance!